A recent Microcenter sale on Dell g914j 50GB first generation Server SSDs seemed like a good deal at $35. 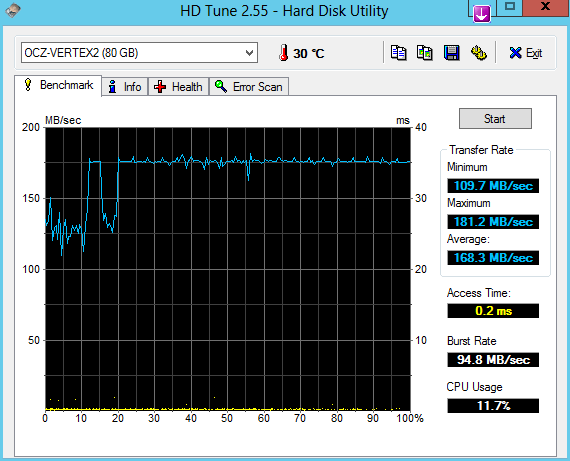 I found it that it gives a nice performance boost to a core 2 duo system. Some folks claimed it wasn't worth the money because of poor performance vs current drives but I was looking for a cheap "pick me up" for a Dell D630, 4GB Core2Duo system. I benchmarked a Vertex 2 80GB against the Dell. The Dell/Samsung has a 25% lower transfer rate but a 30% higher burst rate.